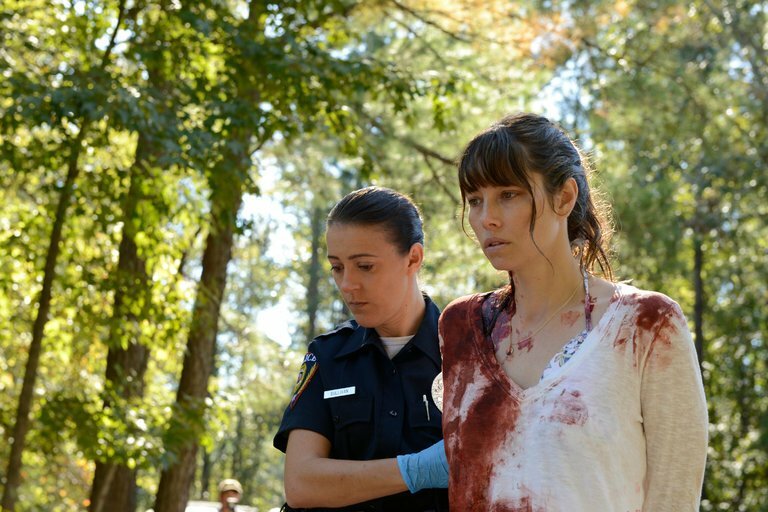 Crime fans everywhere have been gripped this year by dark and twisty mystery series, The Sinner. As someone who laps up anything to do with detectives, I was kept guessing until the very end, staying up way beyond a sensible hour night after night to uncover the truth. The storyline was so unlike other TV mysteries, in that it was more of a why-done-it, rather than a who-done-it; offering a deeper insight into the psyche of the characters. In this show, the initial shocking and violent crime was only the tip of the iceberg. Beyond the initial plot, there are so many layers to the series which set this Golden Globes nominated show above others of the same ilk. Bill Pullman portrayed a genuinely original and complicated detective in the character of Detective Harry Ambrose. Can there be a season 2 of the sinner out now plzzzz!! And of course, Jessica Biel was utterly compelling as mysterious killer Cora Tannetti, bagging a Golden Globes nomination for Best Television Performance by an Actress (Limited Series). Despite the unusual nature of Cora’s situation, we believed and empathised with her throughout, all thanks to Biel’s striking, career-defining performance. The conclusion was excellent, and yet it feels as if there is so much more in the world of The Sinner to explore. Speaking with Entertainment Weekly, 35-year-old Biel suggested another series could leave us scratching our heads very soon. It’s a really good question. We are really hoping to hear soon if we get to come back or not. Initially, the show was genuinely conceived as a limited series so it was a surprise to us as well that, with the amazing viewership and the incredible journey that this show has taken, it was even a possibility to come back. Even getting over that has been interesting. But now that it is a possibility, we are really diving deeply with our creative team, our writers’ room. We’re hoping to set it up and see if we can come up with some amazing and interesting stories. If we get to come back, we’re starting fresh again. I will definitely be involved in some way! I hope somebody writes me into the show, if we can figure it out. We will figure it out if it’s possible, but we want to be authentic to the show. We want to do what’s right for the show as opposed to what’s right for me. SO PROUD of my boo-thang @JessicaBiel & her @CriticsChoice award nomination for #BestActress for @TheSinnerUSA! ? Of course, when we last left Cora, her story had – more or less – wrapped up so it makes sense the next season would focus on a whole different mystery altogether. However, it would be great to see Cora make an appearance. Maybe she and Ambrose could join forces as a detective team? Whichever direction the writers decide to take the show, we can be sure a second season would deliver yet more quality drama, suspense and thoughtful character development.